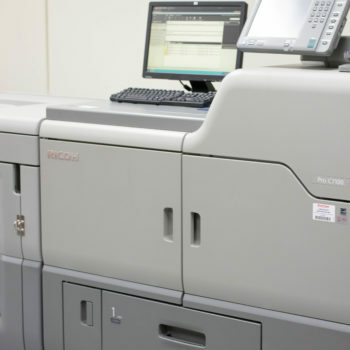 The Ricoh Pro 1107EX digital imaging system delivers fast performance, and outstanding quality. These reliable systems produce crisp black and white output at speeds of 110 pages per minute. These features make them the optimal digital presses for meeting tight deadlines, and maximizing uptime. Ease of setup, combined with speed and longer up time makes using the black and white print option an affordable addition to your marketing and communications needs. Highlight color printing is printing using black plus one other color. At ABS we use the most popular accent/highlight colors of red and blue. How can your documents be more effective? With color. Not color the way you usually think about it but with color used strategically to highlight your message and make your documents more effective. The Docutech HighLight Color System enables opportunity for high speed two-color printing, increased response rates, and complex variable data jobs. Put highlight color to work for you: highlight sale prices, discounts, and other important consumer information. Draw attention to critical messages – make expiration dates, warning labels, and critical instructions the focus of the page. Make a more powerful impact by emphasizing key information using ABS and the Docutech Highlight Color System. 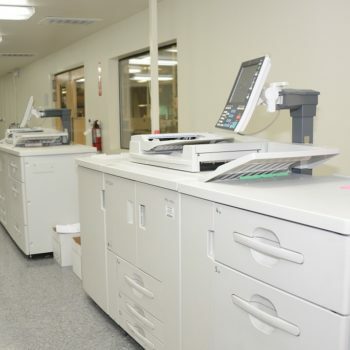 At ABS we offer a full array of digital printing processes. Brochures, postcards, full color or black and white. With the Ricoh 7100 series 5th color we dominate the market with speed, quality and results. 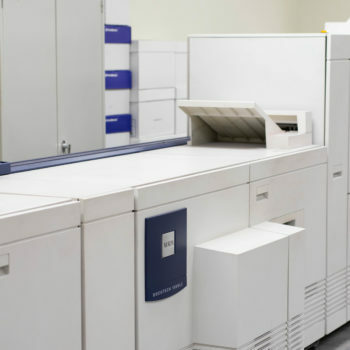 At around 10,000 letter-size impressions per hour, and with no additional time needed for make-ready or drying, the Ricoh 7100 series 5th color delivers the rapid turnaround that businesses are demanding. Our new Envelope Press is a fast, low-cost solution for printing and addressing envelopes. We can print your company logo, Event promotions, or both. We can merge your envelope graphics and address data in a single pass. We can print standard #9s, #10s, remits, peel/stick, catalog, coin, and more! Adjustable height control up to 3/8″ to print bubble packs, padded, corrugated, etc.